If you are looking for a reputable upholsterer and supplier of blinds and curtains in Suffolk, then look no further than Nu-Life Furnishings Ltd. Based at our modern showroom in Wickham Market, Suffolk, we are a family run upholstery business, in its 6th generation. We have been supplying and fitting awnings, blinds and curtains in Suffolk for over 30 years – making us one of the longest serving upholstery and furnishings suppliers in the area. We have everything you need to transform your home, all under one roof. Choose from thousands of upholstery, curtain and blind fabrics, from all the leading suppliers including GP & J Baker, Sanderson, Linwood, Clarke & Clarke, Mulberry and many more. Customise your products from our huge range of accessories. And try out various blinds and technologies, from our display of working samples, to find the products that work best for you and your home. By choosing Nu-Life Furnishings Ltd you can be assured that we will provide a complete service for you; from your initial enquiry to measuring and installation. Please stop by and see us – we have plenty of free parking on site. Please click on the products above for more information. As a leading supplier of awnings, blinds and curtains in Suffolk, we are proud to have been selected as a Luxaflex Inspiration Dealer – one of only two independent retailers in Suffolk. This allows us to bring you all the latest Luxaflex products and technologies, before other retailers – and we can pass on our dealer discount too! 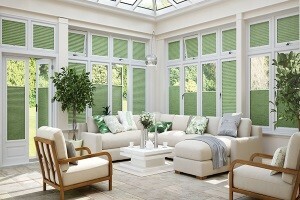 Please contact us today or visit our showroom to view our Luxaflex range. Please visit us at Unit 17 Riverside View (off Border Cot Lane) Wickham Market, IP13 0TA for more information about our products and services. We have plenty of free parking for your convenience. Alternatively, contact us on 01728 747745. We are absolutely delighted with both the quality of your workmanship and the care taken to ensure the cushions and loose covers were as good as new. The settees are better finished and certainly more comfortable than when new. If at any time in the future a customer should require a personal recommendation, please feel free to use this letter, or if they are still not convinced then i would be more than happy to personally sing your praises. Once again, many thanks for a job well done! A note to say thank you for our new curtains, they are lovely. We really appreciate how beautifully you have dressed all our windows; thank you so much! My wife and I are delighted with the work you have carried out for us. Your standard of workmanship is first-class and we would have no hesitation in recommending you to any of our friends. ‘Nu-Life’ is very appropriate – we are enjoying having a virtually new 3 piece suite. 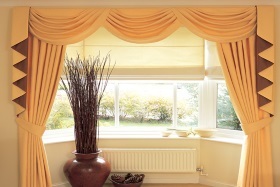 The new curtains are an excellent choice to go with the room and we are grateful to you for recommending this pattern. Again, thank you for the wonderful job you have done for us and your courtesy and helpful attention. We are very pleased with the work carried out on our Empire settee. Thank you very much. Thank you again for re-upholstering our chair. As we said, we are most delighted with the result and will recommend your workmanship to friends. We are delighted with our new awning. Thank you for your patience, advice and expertise in helping us choose. You were so kind and helpful. Thank you.